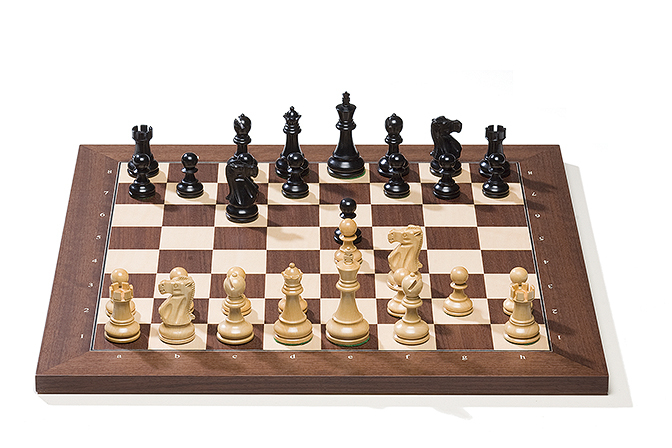 Pictured is the Rosewood board with Ebony pieces. The DGT Rosewood e-Boards have indices on the edge of the board. For images of the Rosewood board with other pieces please see below. Bluetooth e-Boards are packed in a beautiful gift box. A special edition of the famous Fritz chess playing program and 100 days free access at PlayChess.com is included. The Rosewood e-Board comes with a one-year warranty, and is designed for use with Windows-based PCs.